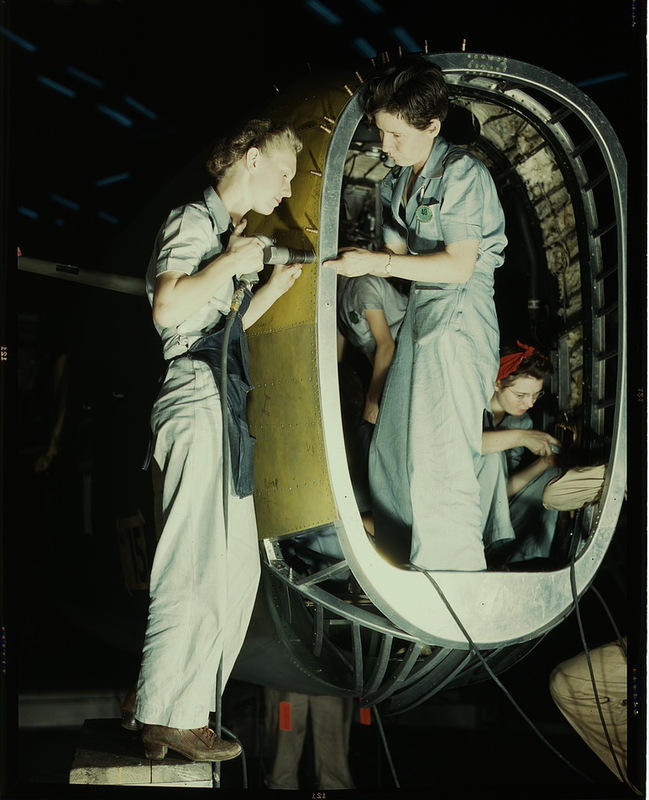 Riveting the fuselage of a Liberator Bomber. October, 1942. Photo by Howard Hollem. Library of Congress collections.